At Gladstone Park Medical Clinic we will conduct skin cancer checks on any patient. Please ask the doctor for details on having a Skin Cancer Assessment. We have many very experienced Doctors who do skin cancer checks, take biopsies (if necessary) and conduct excision of the skin cancer/tumours. We all know the saying “Prevention is the best medicine”. In the prevention of skin cancer this is absolutely true! There are a number of key tips that you can use to prevent skin cancer. Check your own skin every 3 months or enlist the help of a friend or family member and make it a regular occurrence. Report any spots which are changing to your local GP or dermatologist. 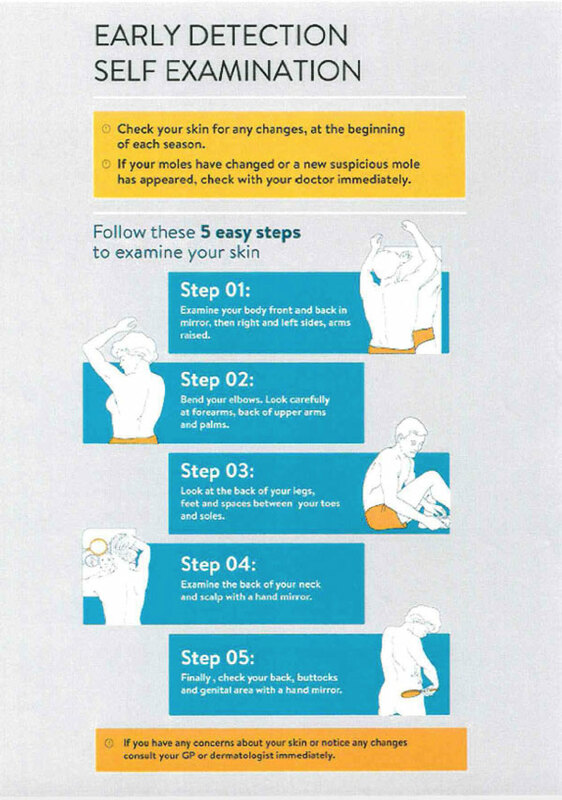 Remember skin cancers, especially melanomas can occur on non-sun-exposed sites such as the groin and feet so remember to check all areas of the body. Use a broad spectrum sunscreen that provides protection from both UVA and UVB rays when the UV index hits 3 or above. (In Melbourne, the UV index usually hits 3 on or about September 1 until May 1 – it is recommended you check your region’s dates). Wear a hat, protective clothing and sunglasses when the UV index reaches 3 or above. Avoid sunburning and using solariums. Remember it’s the date that burns you, not the temperature! The majority of vitamin D is achieved through adequate sun exposure. Small amounts of vitamin D can also be found in foods such as fish, eggs and liver. The activated vitamin D then helps with calcium absorption to keep bones healthy, reduce the risk of broken bones in falls and reduce the risk of rickets (severe vitamin D deficiency causing bone deformities). Short incidental exposure is all that is needed, therefore getting vitamin D can be achieved by exposure to the sun outside the times when the UV index is 3 or more. Over 400.000 Australians are treated for skin cancer each year – over 1 ,000 people each day. Over 1,800 Australians die from skin cancer each year (Latest available figures from 2009: melanoma and non-melanoma). Each year, many more people die from skin cancer than from road accidents in Australia. Sun exposure has been identified as the cause of around 99% of non-melanoma skin cancers and 95% of melanoma in Australia. Each year. Australians are four times more likely to develop a common skin cancer than any other form of cancer. Early warning signs of skin cancer can vary however some important symptoms to keep an eye out for are listed below. If in doubt have any lesion of concern checked by your GP or Dermatologist. If any of these occur it is very important to consult your GP or dermatologist as soon as possible. Carcinoma (BCC) Squamous Cell Carcinoma (SCC) and Melanoma. Basal Cell Carcinoma (BCC): Is the most common form of skin cancer and is the least dangerous. BCC’s can present as a pearly surfaced, pink raised lump or as a pink-red scaly area and may ulcerate. BCC’s most often occur on sun exposed areas like the head and neck although can be found anywhere on the body. Although BCC’s very rarely spread to other parts of the body, early detection is important as it may allow the lesion to be treated nonsurgically or with minimally invasive surgery. 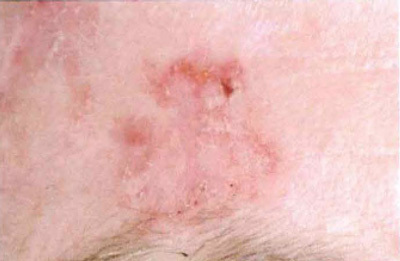 Squamous Cell Carcinoma (SCC): Can be scaly or crusted lumps, pale pink to red in colour. It may be tender to touch. SCC’s are found on sun exposed areas and can take weeks to several months to grow. This form of skin cancer more commonly occurs in older people. SCC’s may spread to other parts of the body if not treated appropriately. Treatment is usually with surgical excision. Melanoma: Is one of the more dangerous types of skin cancer. If a melanoma is not diagnosed early it can spread around the body. Melanoma can be found anywhere on the body and even in non-exposed skin areas. They can appear as a new or changing mole and changes can be in terms of colour, shape or thickness. 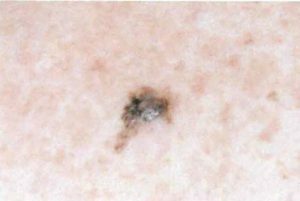 A rapidly growing form of melanoma is the Nodular Melanoma. 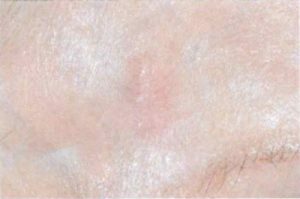 Nodular Melanomas can ulcerate and bleed or can present as a raised dome shape lump coloured red, pink or black.